At Language Australis, we provide accurate Hindi translations in Australia for a range of clients, including individuals, businesses and government organisations. The team of Hindi translators that we employ are all accredited by the National Accreditation Authority for Translators and Interpreters (NAATI) and are able to translate a wide range of documents. Our translators have the skills and expertise to translate your documents from Hindi to English and English to Hindi. As our translators are NAATI accredited, they can translate documents for official purposes in Australia, which may also be recognised as official translations internationally. These official documents include submissions to the Department of Immigration and Border Protection, Road Authorities and universities. Language Australis is one of Australia’s most professional and reputable translation specialists. We offer our services on a broad range of issues that matter the most to you. Our Hindi translation specialists are experienced in translating on various topics such as business, commerce, the law, medicine and science. With the right knowledge in their relevant fields, our translators can assist you with the most accurate translations, providing outstanding service for your business or your clients. There are often cultural differences that can interfere with the appropriate tone of the document if not translated correctly, but with Language Australis, all of our translation specialists are native speakers in the Hindi language. This means that you will not only always receive accurate translations, but they will have the right tone, voice and structure to convey the message of the original document appropriately. The choice of translator is imperative in ensuring that the Hindi translation will read as well as the source document. Cultural boundaries often interfere with an accurate translation. Carefully assigning the right Hindi translator to the job ensures that your document will contain the latest industry terminology in order to reach your target audience. If you need Hindi translators accredited by the National Accreditation Authority for Translators and Interpreters (NAATI) and who have in-depth knowledge and experience in the industry, then Language Australis’ team of highly skilled translators can help you. Before thinking of having your documents translated by our Hindi translation specialists, why not discover a little about the language itself? Hindi is an Indo-European language and a standardised form of Hindustani, along with Urdu. It has its origins in Sanskrit, some 5000 years BC. The Hindi language has also been influenced by such languages as Persian, Arabic, Turkish, Portuguese and English. The name of the language, Hindi, is from the Persian word Hind, meaning ‘land of the Indus River’. Hindi is the official language of India where over 400 million people speak the language. Beyond India, Hindi is spoken in such countries as Fiji, Mauritius, Trinidad and Tobago, Nepal and Guyana. On 14 September every year Hindus celebrate ‘Hindi Day’, marking the time in 1949 when Hindi became the official language of India. 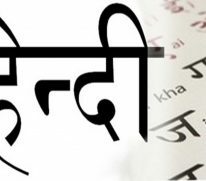 Hindi is the fourth most widely spoken language in the world after Chinese, Spanish and English. Hindi is a phonetic language, meaning that – unlike English – it is pronounced exactly as it is written. Hindi words that appear in the English language include karma, yoga, bungalow, shampoo, pyjamas, loot and cheetah. Like Latin-based languages, Hindi nouns are either feminine or masculine. There are no articles (i.e. the, a, an) in Hindi. The alphabet contains 33 consonants and 11 vowels.